More networks are turning to the Ciena CN 3920 service delivery switch to build out a next-gen Ethernet capable network. The 3920 has proven to be a reliable access system for cost-effective delivery of business-grade and transport Ethernet traffic over either copper or fiber. 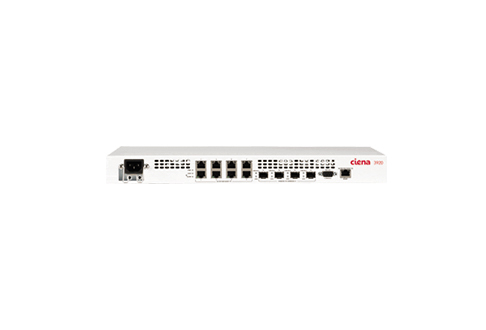 The Ciena CN 3920 uses high-capacity switching fabric to support GbE ports but rests within a 1RU form factor so you don’t have to spend a lot on space or power for the device and its management. Currently, these models are found in a variety of environments and fill many diverse needs. Support the switch topology you require, whether it’s for business and multi-tenant units or as a robust wireless backhaul provider service. All the used and refurbished Ciena CN 3920 models we provide rely on the branded True Carrier Ethernet technology to support these different topologies and network requirements. Worldwide Supply carries and maintains used and refurbished Ciena CN 3920s because of the compact SDS’ ability to deliver next-generation services. Existing architecture supports the Ciena modular service-aware OS for reliability and resiliency. It will help you ensure future-proof investments thanks to ports that are GbE-ready as you move from 100 Mbps in many different network topologies. Deployments we’ve seen include fiber rings, point-to-point fiber, dual-homed network uplinks, copper uplinks and fiber or copper to the subscriber. If you need a smart Ethernet switching technology designed to improve capabilities and customer service, a used Ciena CN 3920 model can give you the power you need at a price designed to support growth and make future expansion easier as well.